Synopsis: An account of the life of the artist Joseph Mallord William Turner, detailing his final years. Review: The fine stroke of the paintbrush of a distinguished artist is comparable in some way to the art of making a film. Each shot feels like it needs precision and accuracy to acheieve the perfect moment. Yet like an artist at work, the shots in a film can fall flat, they can feel disjointed, and they can bore certain people. With this biopic of the artist J.M.W. Turner, it feels like a piece of artwork on a canvas being set up ready for viewing, only to see someone come along and ruin it. The film focus on the final twenty five years of the artist’s life. Timothy Spall certainly brings him to life in a charismatic way, albeit with a considerable amount of grunting. Leigh does an incredible job in which we see scenes of Turner at work. There can be a certain amount of awe as he effortlessly creates a piece of art, sometimes even using his own spit to create an effect. Or in some cases, being tied to a ship to create the perfect piece. Spall certainly humanises the artist as becomes increasingly eccentric in his later years, and is the stand out performer. Being the titular character, you would expect him to be the most developed and he is, by a considerable distance. The rest of the cast don’t quite match the very high standard that Spall set, with many actors feeling a bit over the top in their performances. Furthermore, there are some characters, such as Turner’s first mistress who are left severely under-developed. In spite of this, the film boasts top direction and cinematography. Yet, the plot feels a bit disjointed. One scene he’s in Margate and another scene he’s back in his home. There are random moments in which he and his housekeeper get intimate, and you’re never really sure what’s going on or why it is happening. With the plot feeling a bit all over the place, there is much to be desired and it feels tedious at times to sit through. In addition with a run time of two and a half hours, you cannot help but feel some parts of the film could have been cut out. Like an artist finishing off a masterpiece there is almost a sense of relief when the credits start to roll. 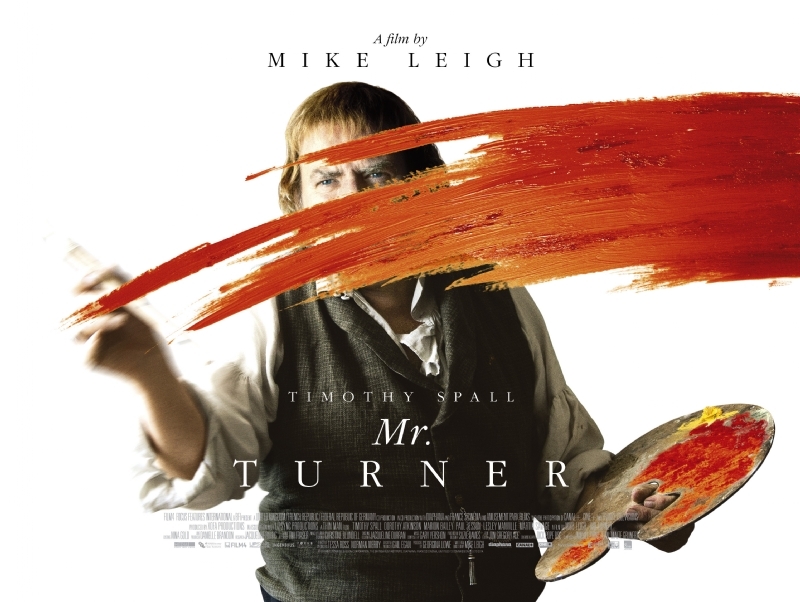 The biopic was presented as a view of the life of a great 19th century artist, and on paper it appears to represent the work of such an artist like turner. Yet at times it feels like a botched attempt to recreate a famous 19th century masterpiece, just ask Elias Garcia Martinez, the woman who brutally failed to restore a famous piece of 19th century art. Leigh’s story is by no means on that scale of horrendous, yet there is not a lot here that is worthy to be put on display.